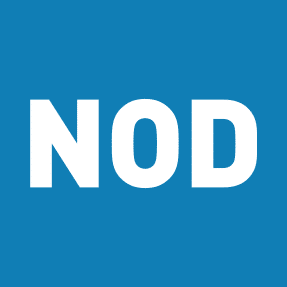 NEW YORK (APRIL 10, 2019) – The National Organization on Disability (NOD) today announced four new members to its Board of Directors. Apoorva Gandhi, Vice President, Multicultural Affairs, Marriott International; Steve Pelletier, Executive Vice President and Chief Operating Officer, U.S. Businesses, Prudential; Jenette Ramos, Senior Vice President, Manufacturing, Supply Chain & Operations, The Boeing Company; and Jay Ruderman, President, The Ruderman Family Foundation, were recently elected to the NOD Board joining 17 other civic and corporate leaders working to advance disability inclusion in the workplace. Apoorva Gandhi is responsible for creating and executing an externally focused global strategy that builds preference and loyalty from diverse customer segments for the Marriott International portfolio of brands. He helps ensure that the company’s marketing, sales and operations consider and reflect multi-cultural markets and alliances as Marriott continues its aggressive growth throughout the world. 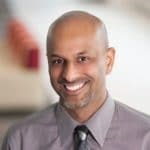 Gandhi has nearly 25 years of proven strategy, business process, program management and organizational change skills, leadership and delivery expertise. He also has extensive management and delivery experience working with diverse business clients and a solid track record delivering measurable success to clients across various business disciplines. 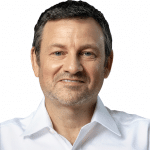 Steve Pelletier heads up Prudential’s U.S.-based businesses comprising PGIM (the Global Investment Businesses of Prudential Financial), Prudential Retirement, Prudential Annuities, Individual Life Insurance and Group Insurance. 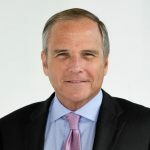 Before he assumed his current role, Pelletier was CEO of Group Insurance and also served as president of Prudential Annuities and chairman and CEO of Prudential International Investments. He is an advocate for workers with disabilities. He has long encouraged companies to organize internal work groups tasked with coordinating their business strategies with respect to people with disabilities and to make concrete commitments to recruit and retain people with disabilities. Prudential operates a business resource group called ADAPT — Abled and Differently Abled Partnering Together — that supports the personal and professional development of its members. ADAPT has an established intern program that has created full-time employment for people with disabilities and advises on increasing employment of people with disabilities across Prudential. Mr. Pelletier serves on the American Council of Life Insurers board of directors, the Executive Business Cabinet for the Rutgers Institute for Ethical Leadership, and on the Perkins Board of Trustees. Ms. Ramos is actively involved in the community. 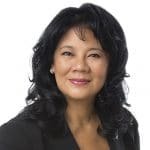 She is currently on the Board of Trustees for The Nature Conservancy of Washington and serves as a mentor for the Executive Development Institute. Jay Ruderman heads up the Ruderman Family Foundation, which was founded by his family in the early 2000s. Mr. Ruderman and the Foundation are advocates who focus on the inclusion of people with disabilities in all aspects of life. In addition, the Foundation has also done advocacy work around mental health issues, particularly for police and for other first responders. The Ruderman Family Foundation has three main approaches to its mission including program development through grant-giving; advocacy; and internal programming. Mr. Ruderman has been vocal about the role of media in our society today and the regular casting of actors without disabilities playing the role of characters with disabilities.